We create solutions to fit your unique requirements. CNA offers all your catering needs for your business. We provide varying types of window cleaning services. We clean numerous shopping centres and large retail stores 363 days of the year and understand the challenges associated. First impressions and attention to detail is a primary focus as is reducing the risk of injury to patrons, tenants, staff and the general public is a priority. 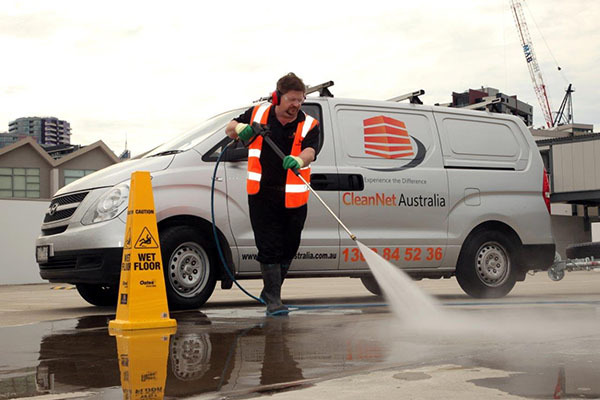 Commercial cleaning since 2001, we have extensive experience servicing offices varying from small through to large multi level office buildings throughout Victoria, New South Wales and Queensland. Our varied client base includes facilities such as warehouses, production lines, factories and large commercial sized kitchens. We therefore have the capability, experience and confidence to undertake any such tasks and deliver a level of service that meets or exceeds your expectations. First impression are lasting impressions. We understand the importance of showcasing your products and the high standard of cleaning associated. 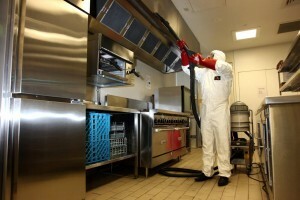 We have many years experience cleaning prestige car dealerships and retail furniture showrooms. We service medium to large, single to multi level car parks for our clients on a daily basis using modern, efficient mechanical equipment. We provide varying types of specialist window cleaning services. From large shop fronts, prestige car dealership showroom windows to multi level buildings. 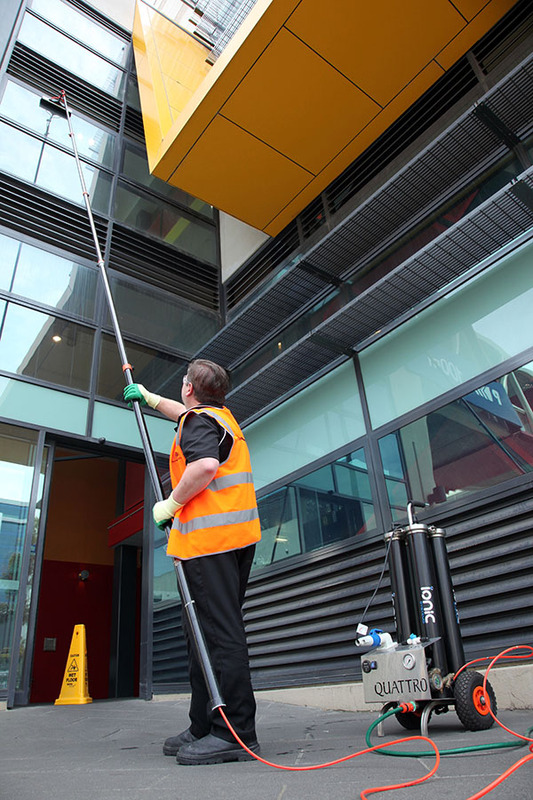 We also perform high window cleaning in shopping centres. 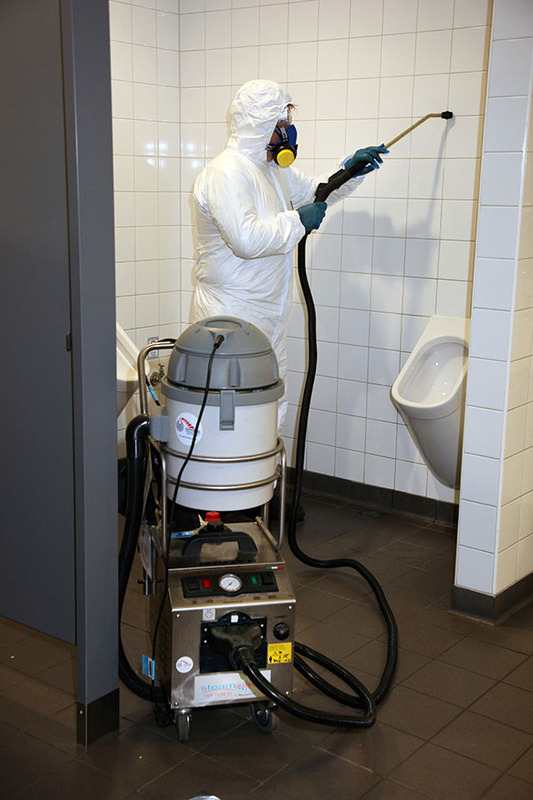 Our hot water (steam capable) high pressure units are trailer mounted and we pressure clean car parks, pathways, entrances, toilets, building facades and numerous other surfaces. We currently provide and manage the following add on services to many of our clients: Waste Management, Hygiene Services, Pest Control, Mat Services and Security. We supply consumables items such as toilet paper and hand towel and very competitive prices.